Dr. Nichols research interests include topics in engineering design and manufacturing, technology commercialization, and professional aspects of engineering practice. 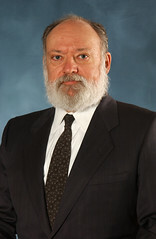 He currently serves in three administrative posts at The University of Texas at Austin (Area Coordinator for Dynamic Systems and Controls in the Walker Department of Mechanical Engineering, the Director of the Advanced Manufacturing Center in the Cockrell School of Engineering, and the Director of the AMC Industrial Affiliates Program). As the Director of the M.S.E. in Engineering managment, Dr. Nichols focus on creating and nurturing a culture of technology innovation, creativity, leadership, and entrepreneurship in the program. As part of his activities, Dr. Nichols organized the Roden Scholar (Leadership) program and supported the start-up of the Engineering Entrepreneurship Society, and the Idea to Product (I2P) technology competition. I2P has grown from 9 teams at UT-Austin in 2002 and now includes a Global program from universities in 5 continents. Dr. Nichols has also initiated multidisciplinary research and classroom activities that encourage collaborative learning environments for students, faculty, and staff from the College of Engineering, the College of Natural Sciences, the McCombs School of Business, and the School of Law. Dr. Nichols previously served as the Associate Chair for the Walker Department of Mechanical Engineering. He coordinates with faculty and industrial representatives. He also prepared proposals for industrial support for Departmental Activities. Dr. Nichols also served as a designated contact for alumni. As part of his responsibilities, Dr. Nichols has raised more than $8 million in industrial support for educational activities. Dr. Nichols previously served as the Director of the Design Projects Program. (Walker Department of Mechanical Engineering) Dr. Nichols taught the Department's capstone design courses (ME 466K and ME 279M) for 14 years, supervising approximately 200 students each year in approximately 60 industrial sponsored projects annually. He emphasizes design methodology and has introduced material on engineering ethics, and engineering professionalism. While serving as Director for the program, Dr. Nichols has raised more than $3,920,000 in industrial and government support for undergraduate engineering design education. Dr. Nichols coordinated an interdisciplinary (collaborative) design experience among students and faculty in Department of Mechanical Engineering and the Department of Electrical and Computer Engineering. He also organized a cross-disciplinary courses in technology entrepreneurship with with the Cockrell School of Engineering, the McCombs School of Business, theCollege of Natural Sciences, the School Law, the College of Pharmacy, and IC2. He previously served as the Director of the Center for Energy and Environmental Resources (formerly the Center for Energy Studies). CES research includes faculty in separations research, process energetics, energy economics, and environmental engineering. Dr. Nichols also serves on the board for a state agency, the Texas Energy Coordination Council. Dr. Nichols served as the Acting Director of the Center for Electromechanics for five years. CEM research focuses on rotating machines, but Center researchers also work in areas including resistance welding, electro-spray, and hybrid electric vehicles (suspension, control, and energy requirements). During the 1997-98 Academic Year, the Center introduced a new research program both in power quality applications and in space applications for flywheel technology developed at CEM. Dr. Nichols is a member of the New York Academy of Sciences, is a Fellow of the American Society of Mechanical Engineering, has received the Fred Merryfield Design Award from the American Society of Engineering Education and the Inaugural Olympic prize from the National Collegiate Inventors and Innovators Association. He received the 2009 Joe J. King Professorship Award from the Cockrell School of Engineering for Faculty Excellence. He was selected as a Master of the Bench of the American Inno f Court (Intellectual Property) in 2010. In 2011, Dr. Nichols was named the Annis and Jack Bowen Endowed Professor in Engineering and was recognized as the Entrepreneurship Educator of the Year by USASBE. Dr. Nichols received his Ph.D. in Mechanical Engineering in 1975 and J.D. in Law (with honors) in 1983.